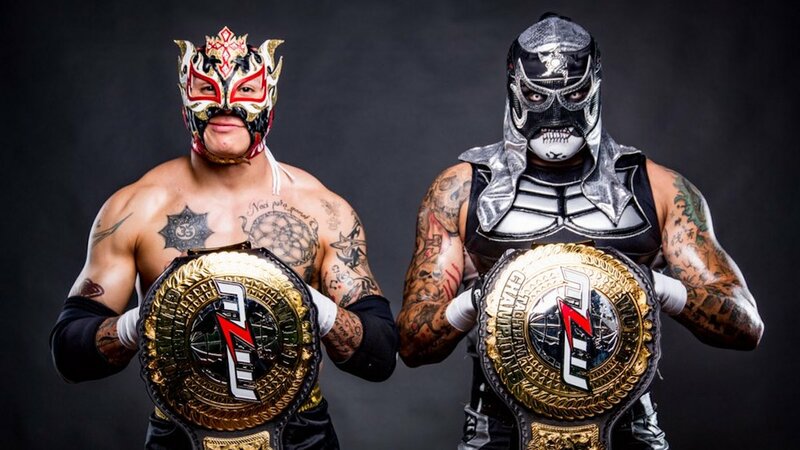 There’s a lot of speculation on WWE signing brothers Rey Fenix and Pentagon Jr. The two currently hold the MLW Tag Team Titles and Pentagon held the Impact World Heavyweight Title earlier this year. WWE has had interest in signing both wrestlers for some time and first asked fans about their interest in the brothers during a June 2017 Fan Council survey. The brothers are currently signed to Lucha Underground and Dave Meltzer confirmed on the latest edition of Wrestling Observer Radio that they are not able to sign with any other wrestling promotion right now. There may be an option to leave the deal once the current fourth season of Lucha Underground ends. There’s no word yet on when the season will end but they are airing the 14th episode this week. The third season had 40 episodes and the second season had 26 episodes. There’s strong speculation on Fenix and Pentagon signing with WWE once the current Lucha Underground season ends but they could also sign with someone like AAA or they could stick with Lucha Underground. September 11, 2018 John BassAAA, Impact Wrestling, Industry News, Lucha Underground, MLW, NXT, Wrestling News, WWEFenix, Pentagon Jr.